I'm back again with another Lush bathbomb review. 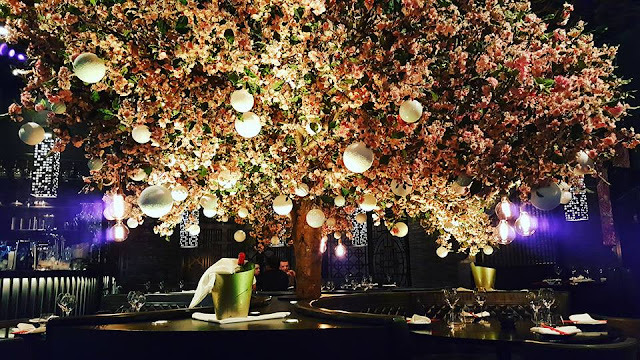 I know what your thinking are all your posts for January going to be Lush related and the answer is.....maybe. 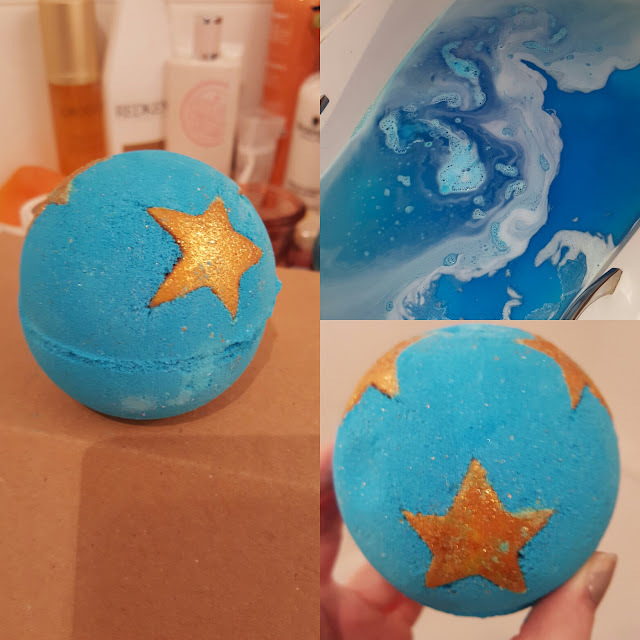 I was very fortunate to be bought for Christmas the Northern Lights gift box and included in this was the Shoot for the Stars bathbomb. After googling this just I now realise this was one of the limited edition Christmas releases. (Hence why I received it for Christmas probably). I'm a sucker for a good bathbomb and I firmly believe Lush can not be beat. I love the design of this it looks like a night sky and when you drop it in the water your bath becomes a blue explosion! It honestly turns the water a stunning shade of blue which eventually becomes flecked with shades of gold. Just like stars in a night sky! The scent is peppermint but it is not overpowering it's just refreshing and relaxing! I'd had a very taxing day and this minty blue bath relaxed me completely. I was a tad worried that the vibrant blue would stain the bath but thankfully this was not the case. I'm now sat here typing this and my skin is glittery from the bathbomb. I feel like I've just had a magical bath in a Van Gogh painting! Have you tried the Shoot for the Stars bathbomb? What're some of your favourites from Lush?